Well, I have no time, so this week I'm just going to let Google translate do the work and send you most of my letter to my mission president this week. I love you all! So many things that I want to say. It was a week of blessings and learning, of spiritual experiences, of faith, diligence, and weaknesses and repentance. In other words, it was another week in the Lord's work, and there is no other place I would like to be. We had a baptism this past weekend of a 13-year-old boy named Victor. It was a miracle, and I am very grateful for the mercy of the Lord in allowing us to find him. We found him knocking on doors in search of a less active member, and a month to the day after we found him, he was baptized. He was very prepared, and the youth have done a fantastic job in including him in their activities and in the youth group. Now Victor has a shirt and tie that he can wear to church, and he is excited to receive the priesthood and help with the sacrament. Also, the young men are working so that he, along with some other young men that we are teaching, can attend PFJ (like EFY) in January. Victor is very excited. He's such a great kid, it was a blessing to meet him. I love the mission. Victor's baptismal service was excellent, we had a recent convert of about 10 months perform the baptism, and for him it was a very special experience, being the first time he had baptized someone. After the baptism, we were delighted to see that the members, without asking, began to fellowship the people who were not members who were attending. The kids from the Primary started playing with the other kids, the youth started playing soccer with the youth, and the sisters of the Relief Society sat down to drink mate there in the chapel with the women that were in attendance. It was such a blessing to see the members helping so much with the missionary work without being asked. Also, we were able to use the service as an opportunity to find, and we found a new investigator there at the baptism who also went to church on Sunday! It was a very successful baptismal service. 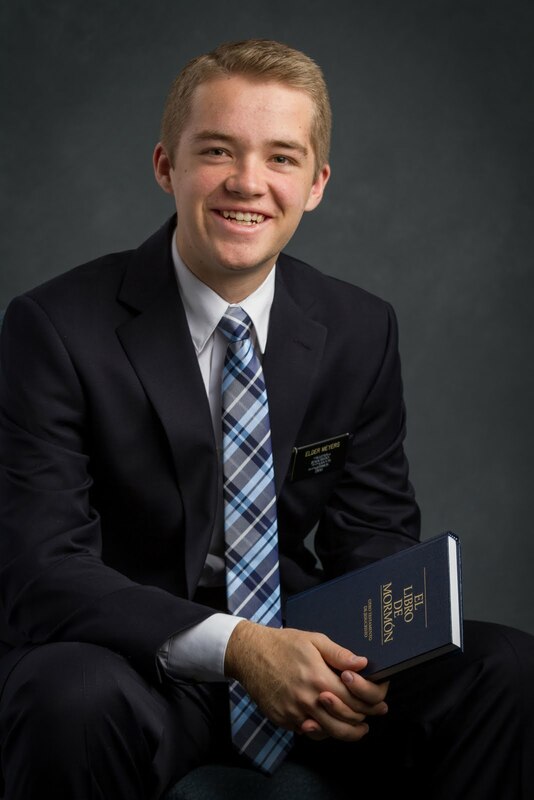 I discovered many things about the missionary work in this past month, and the truth is, I feel that I am a better missionary than I was in September. I learned a lot about faith, diligence, and the doctrine of Christ, and I hope to continue applying those things during November, December, and the rest of my life. I have come to feel a deep desire to "declare repentance." This week I was reflecting on the scripture found in Helaman 5: 9-11, which says: "yea, remember that there is no other way nor means whereby man can be saved, only through the atoning blood of Jesus Christ, who shall come; yea, remember that he cometh to redeem the world. ...therefore he hath sent his angels to declare the tidings of the conditions of repentance, which bringeth unto the power of the Redeemer, unto the salvation of their souls. " What a joyful duty! The duty and calling to declare the good news of the conditions of repentance to the whole world, because there is no other way by which they can be saved. My testimony of the uniqueness of the way, and the exceedingly great importance of following it, has greatly increased, and I feel to repeat the Apostle Paul's words: "For I am not ashamed of the gospel of Christ, for [I know that] it is the power of God unto salvation to every one that believeth. " This week I was listening to a song too, called Better than a Hallelujah, which talks about many times the tears of repentance, sincere and anguished prayers in times of need and despair, and changed hearts are more pleasing to God than a praise, and for me it was only added to my testimony of the beauty of repentance. What a great blessing is the Atonement of our Lord Jesus Christ. In divisions, to train the missionaries, I have been using a scripture that I found in my Preach My Gospel study that I loved. It is found in John 15: 1-16, and it speaks of Jesus Christ being the true vine, and that we are the branches. If we disconnect from the vine, we will lose all nutrition and power that only comes from the vine. So, being branches, our purpose is to bear fruit, and in v. 2, Jesus Christ tells us that those who bear fruit will be cleansed (or purified), so that they bear MORE fruit. Then he tells us that He chose us, and He put us here so that we may bear fruit, and so that the fruit may remain. I loved that analogy so much, and there is so much to learn, that I decided that I would share it in every division I make. It also helps to teach the new focus of the First Presidency and the Quorum of the Twelve to baptize MORE converts. To be able to do that, we will have to be clean, and connect 100% to the power of the real vine, and thus we will be able to bear more fruit.